Although a fictional story, the television series "13 Reasons Why" focuses on very real issues that affect youth and young adults. The show's graphic depiction of the traumatic life events that led to the suicide of a young woman may have already adversely affected Oregon's youth. Since its Netflix release in March 2017, multiple young people in Portland-area hospitals have reported they watched the series prior to their own suicide attempt. While the series seeks to capture the agonizing challenges of sexual trauma, bullying and suicide, its content poses a significant risk to vulnerable youth, particularly in the absence of supportive peers and adults. There are many aspects of the series that represent incorrect notions about the psychology and behavior of most young people who die by suicide. The central character is portrayed as seeking revenge, and the adults in her life appear oblivious to her struggles and incapable of offering support. The overarching message glamorizes suicide as a heroic action while failing to offer any sense of hope or alternatives to self-destruction. In reality, most youth who die by suicide struggle with treatable mental health or substance-use disorders. Suicide is never heroic; rather, it is tragic and preventable. While Netflix's decision to increase viewer warnings about graphic content may have some value from a legal perspective, it does not do enough to offer specific avenues to seek help. The failure to include suicide prevention resources during each episode is particularly disturbing given the targeted population for the series appears to be teenagers and young adults. This demographic has an elevated risk for completing suicide. Perhaps the greatest concern is well-established evidence that sensational media coverage of suicide clearly leads to increased risk of contagion and clusters of suicide by other youth. Bullying and shaming through social media, sexual trauma and suicide are very real challenges facing young people and deserve conversation and action. As mental health experts, however, we recommend against the use of "13 Reasons Why" as a tool to encourage conversation about suicide prevention, at any age. Young people who wish to view the program should do so with a supportive adult who can encourage conversation and recommend confidential local and national resources, if necessary. "13 Reasons Why I Found Help" is the series that we really need to prevent one of the leading causes of death in the population this serial seeks to engage. This viewpoint originally ran as a guest opinion piece in The Oregonian Sunday, May 14, 2017. 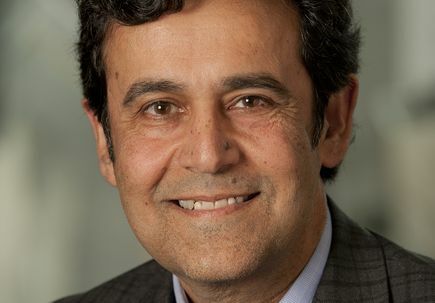 Ajit Jetmalani, M.D., is the Joseph Professor of psychiatry and head of Child and Adolescent Psychiatry at OHSU Doernbecher Children’s Hospital, OHSU School of Medicine. Contributors to this piece include Kyle P. Johnson, M.D., associate professor of psychiatry and pediatrics at OHSU Doernbecher, OHSU School of Medicine; Keith Cheng, M.D., interim medical director of Unity Center for Behavioral Health Child and Adolescent Psychiatry Unit; associate professor of child and adolescent psychiatry, OHSU School of Medicine, OHSU Doernbecher Children’s Hospital. Lines for Life, a 24/7 suicide prevention service, offers advice to parents, teachers, youth and the media dealing with suicide, both in general and as related to this television series specifically. Those personally experiencing suicidal thinking or behavior, or who may be concerned about a friend or loved one, should call the National Suicide Prevention Lifeline at 1-800-273-8255 immediately.